March 6, 2018 – Part 1: Behind the scenes in the auditioning process of radio advertising. 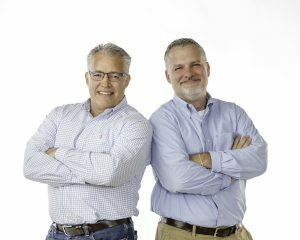 Oink Ink Radio’s Dan and Jim Price, brothers and co-founders of the country’s premier radio advertising agency, know more about radio voices than anybody else. And so we’re launching a three-part series focusing on the nuts and bolts of the critical role voice plays in producing some of the best radio spots of the last 25 years. In the first piece, they share their insights and thoughts on the auditioning process and how it compares to that which they employed years ago. The Price brothers remember back to a time when actors would go to ICM in Los Angeles, the biggest voice operation at the time, and hang-out, on site, throughout the day auditioning. Clearly, remote auditions generate better attendance and open the field to a broader range of actors. “Now, people across the country have voice booths or a good microphone and proper software at home and can generate auditions,” Jim Price said. March 14, 2018 – From their vantage point as leaders creating the best radio spots of the last 25+ years, Oink Ink Radio’s founders and brothers, Dan and Jim Price, have observed plenty of changes when it comes to the role voices play in the creation of radio commercials. 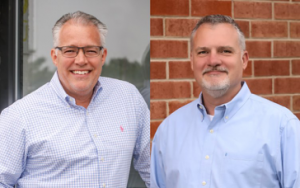 Just because the Price brothers understand the reasons behind the change to their niche industry doesn’t mean they don’t sometimes miss the ‘old days’. “For a radio purist, the emphasis on ROI doesn’t make for quite as much fun and experimentation in the studio,” said Dan Price, co-founder, and president of Oink Ink. Price brothers agree that those voices painted vivid pictures in the listeners’ mind’s eye of who this person in the commercial was. “We also had these great ‘husband and wife’ teams. Bill Fiore and Mary Elaine Monti immediately come to mind. There was a lot of collaboration and scripts were written broader and more dialogue driven. Our clients have expressed a desire to abandon that approach over the years. They now want spots that are more transparent,” Jim Price said. The Price brothers recount a series of flavor-of-the-month-radio-spot styles between then and now that many clients wanted to emulate. It started with cute he/she dialogue spots (like the “Molson couple”), then clients started asking, “Do you have anyone who sounds like Tom Bodett?” (of Motel 6 fame). Then it was the young, cool, hip damaged voice kind of thing. There was also the phase, cites Dan, that happened more in television than radio, but it involved clients being lulled into thinking the voice of the tape editor they had grown used to hearing during production worked well enough for the finished product. “Yeah, the voice-editor-turned-talent was a thing. People in the inner circle get so comfortable with the sound of the voice that they’d say, ‘Hey, let’s use his/her voice. It sounds like the person next door.’ But that’s the problem from my perspective, the voice literally sounds like the guy next door. There was no interpretation, and nothing dynamic or distinctive whatsoever,” Dan Price said. March 22, 2018 – Oink Ink Radio’s Dan and Jim Price have developed a specific approach to getting the best performances out of voice actors for their radio spots. Dan Price, co-founder, and president of Oink Ink, lays the groundwork for the voice sessions by admittedly over-preparing for the session. To listen to some of the company’s older style, ensemble spots, click here.